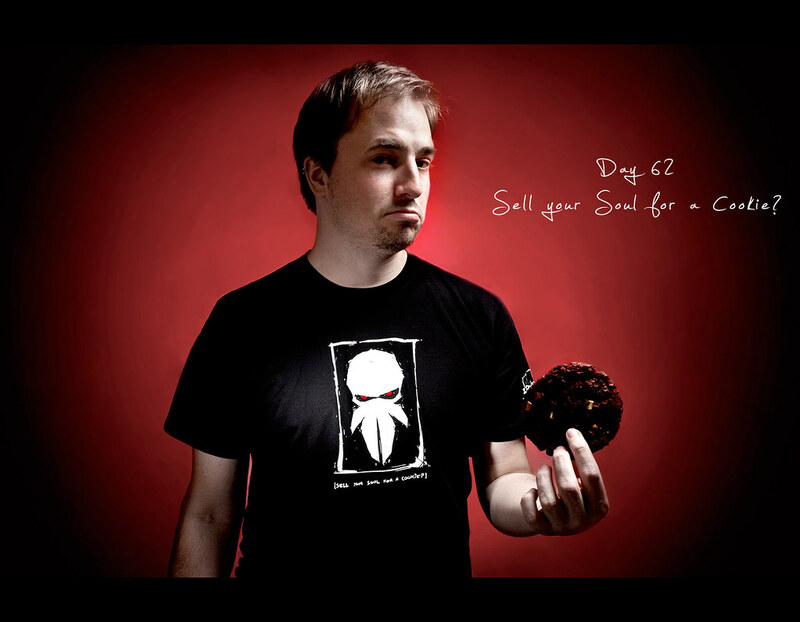 Day 62 – Sell your Soul for a Cookie? … and there are little pieces of white chocolate chips inside! what did you say you wanted? Shirt and matching comic by the great Three Panel Soul – check them out!